And on that note, I’d better get some sleep, so I’m fit to do a bit more stitching tomorrow (although I really do have to throw in some housework tomorrow, so not as much progress will be to show at the end of it all tomorrow!). 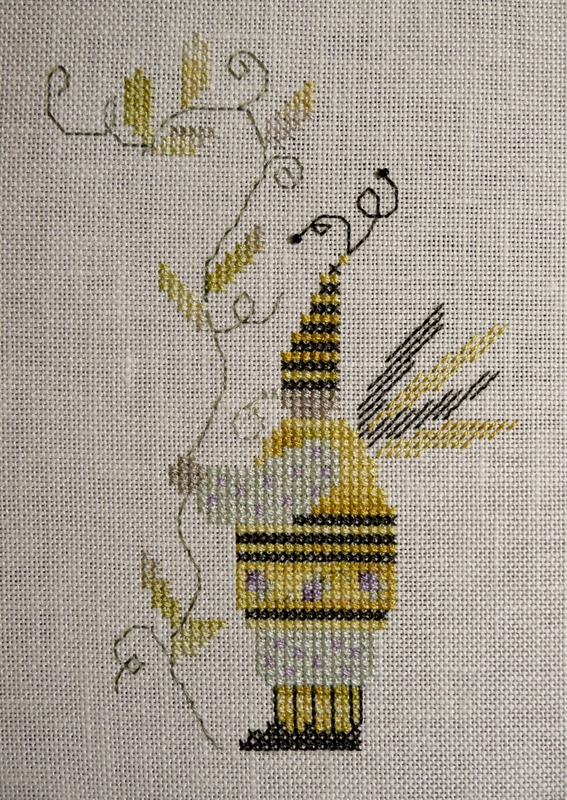 Anne S • This entry was posted in Cross Stitch, Finishes, Shepherd's Bush, Works in Progress and tagged Cross Stitch. Bookmark the permalink. An adorable finish! And a lovely start. Great finish! Can’t wait to see more progress. wow!!! so bright! I love it!congrats!! the SB is so cute! waiting for see more! The parrots stitched up so quick! Very sweet. Love your new start! Is it Baby bug ball? Great spotting, yes it is Baby Bug Ball 😀 I’m seriously in love with this one!! Hi Anne, the baby lorikeets are adorable! You’ve made great progress on your SB. Happy new year! Great finish and great Start !! Holy smoke, my hair is blowing back from the breeze as you fly through your challenge projects! I predict you will have no trouble at all getting them finished this year. 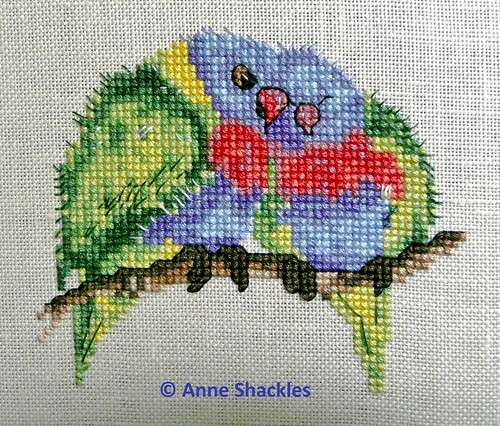 Congrats on your Lorikeets finish, the SB project is super cute! I have such happy memories of the lorikeets at a zoo I used to take the kids to regularly when we lived in Holland. 😀 GREAT choice for a finish!